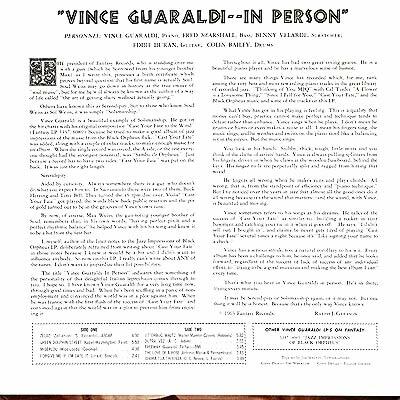 Notes: Another record that begs to ask the question “why don’t more people know about Vince and his music?” Outside of the Peanuts things most folks just don’t see the beauty that he can create with his piano, a few friends and a few moments in time. According to the liner notes penned by Ralph J. Gleason Guaraldi possesses stubby little mitts and uses his own odd technique in forming chords and roaming over the keys. And in the face of these realities he still makes fantastic music and always strives to bring all of himself to the bench each time he plays. 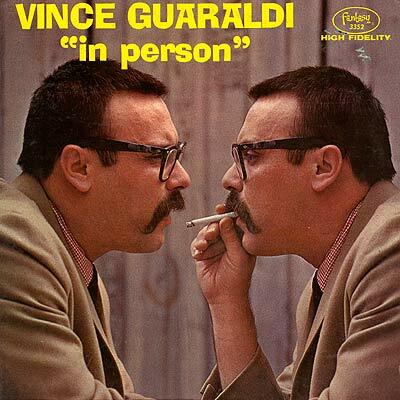 A little bit of double exposure work on the front cover as Vince has a conversation with himself. More classic work from the man with the “stache”.